Open-Angle Glaucoma - This is the most common type of glaucoma and almost 90% of the cases of glaucoma are of this type. There are no or very less warning signs of this type. It is a lifelong condition that develops slowly and is caused by the clogging of the drainage canal that results in an increased pressure on the eyes. Angle- Closure Glaucoma - This type of glaucoma causes increased pressure on the eyes and leads to the damage of the optic nerve. In this type, the intraocular pressure rises quickly and causes symptoms such as blurry vision, eye pain, redness and rainbow color rings around the light. Normal-Tension Glaucoma- The exact cause of this type of glaucoma is not known yet as the optic nerve of the eye is damages even when the intraocular pressure is not high. It is also known as normal tension glaucoma. Also Read: How LASIK eye surgery give you clear vision? Viral Conjunctivitis - It is the most common type of conjunctivitis and it is caused by the same virus that causes the common cold. It is contagious and can be spread easily from a person to person. Red eyes, watery eyes, and burning sensation are the symptoms of viral conjunctivitis. Bacterial Conjunctivitis - When an infection occurs due to the bacteria, it is known as bacterial conjunctivitis. This type of conjunctivitis is also contagious and causes red eyes with a lot of sticky pus. Allergic Conjunctivitis - This type of conjunctivitis occurs due to an allergic reaction and makes the eyes itchy, red and watery. This type is not contagious. Cataracts are a very common eye condition that occurs when the lens of the eye becomes cloudy and affects the vision. The lens is the clear part of an eye that helps that helps to focus light or an image on the retina. Normally, light passes through the lens and reaches the retina and when it reaches the retina, it converts into the signals that are sent to the brain. In order to receive a sharp image, a clear lens is needed. Most cataracts are related to an advancing age as with an advancing age the lens inside the eye gradually changes and becomes less clear. Therefore, it is very common among older people and by the age of 80, most of the people are affected by this eye disease. The density of a cataract can vary from mild to severe. When an impairment occurs due to the cataract begins to create problems in the daily activities, a cataract surgery is recommended to them which is safe and effective. Other than an advancing age some other common causes of cataracts include diabetes, trauma, medications, other eye conditions, smoking, and lack of vitamins. Keratoconus is a disease that affects the cornea and makes it thin and bulge out like a cone. The corneal thinning can induce astigmatism and myopia and leads to mild to an impairment in the quality of vision. It is a progressive disorder that usually affects both the eyes but the condition of one eye can be worse than the other. Blurred and distorted vision, mild irritation, and an increased sensitivity to light are the common symptoms of Keratoconus. Symptoms of this eye disorder can vary from person to person as the severity of the symptoms increases as the disease progresses. As the cornea becomes thinner and steeper, it progresses over time. It usually affects the young people and the exact cause of this disease is not yet known but several studies suggest that it can be genetic. 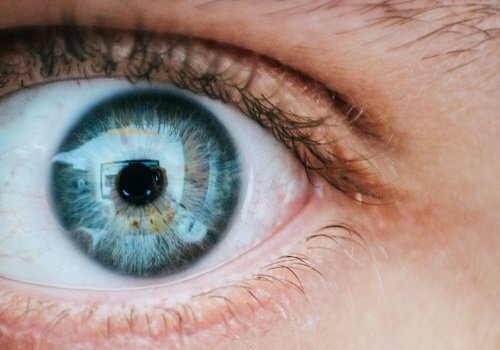 How to detect brain tumour with routine eye-test? How 20-20-20 rule protects your eyesight?